HR conferences are all about empowering you to hire better and faster. 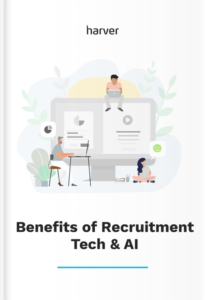 They aren’t just great learning experiences, but they also help you stay on top of your field, connect with your peers, and discover the best solutions to your most challenging hiring problems. Just imagine how it would feel to finally be able to overcome the ”sticky” hiring situations you face daily … OR … to find that “one” solution that will solve a big hiring problem for you forever. To save you the time and effort of finding the right HR conferences to attend in 2018, we did all the heavy lifting and handpicked some of the top content-packed ones worth attending. Check them out below! With speakers from companies like Google, SAP, and Nokia, this HR conference brings together the true ‘who is who’ of the HR space. HR360 is your place to be if you want to manage your people better, design more streamlined processes, and use technology to support you all along. HR360 moves fast with its Oxford-style debates, exhibition meetups, champagne roundtables, case study presentations and more. With an impressive lineup of sessions from folks over at Google, Cisco, HFBC and more, HR Vision will educate you on the modern leadership strategies and help you improve your candidate experience, acquire better talent, etc. With multiple breakout sessions, HR Vision is for you if you want to be that tech-savvy HR who uses data and AI-enabled solutions for everything right from acquiring talent to building a high-performing workplace. This “must attend event” for senior HR folks promises two days full of inspiring keynotes, roundtables, training sessions, live tech demos, panel discussions, one-to-one interactions and much more. This conference comes with a rich agenda with sessions on talent sourcing, recruiting, management, tech solutions, and analytics among others. Rather than sticking to a theme, Rethink! HR & Technology Minds offers a lot of value to its attendees by touching upon all the major domains HR people work on daily. With speakers from companies like LinkedIn, Futurist, and WeWork, this HR conference is packed with competing keynotes, masterclasses, panel discussions, practical workshops, breakout sessions and much more. This conference will show you how to go “beyond” the technology changes impacting HR and “re-humanize” HR by building EX-centric companies. With speakers from Microsoft, Nestle, and Pepsico among others, the Europe HRD Summit is packed with keynotes, lightning talks, match meetings, breakfast briefings, networking sessions and more. The 2018 event, themed ‘Curators of the New Business Landscape: Building an Agile Future,’ aims to empower you to design HR strategies that can match today’s diverse, complex, and fast-changing business environments. The Employer Brand Management conference shares insights to help you get your employer branding right so you can attract and retain the best people (who align perfectly with your company culture). This conference is your place to be to learn all that’s there to building a winning employer brand journey, polishing your storytelling skills and more. Another event for senior HR professionals, this summit is full of one-to-one business meetings, interactive seminars, and networking opportunities. This HR conference is somewhat commercial in the sense that it connects you with the best-in-class solution providers and shows you how their solutions can optimize your hiring. During registration, you can tailor the content you receive based on your current hiring challenges. The CIPD HR Software and Recruitment Show hosts thousands of visitors and offers learning sessions on topics like HR data and analytics, talent acquisition, retention, employee engagement and others. You won’t just benefit from these sessions, but you’ll also get to discover hundreds of the latest solutions to improve your hiring processes. The most happening HR conference for senior-level professionals, formerly HR Tech World, or UNLEASH shows you how you can – what’s in a name – unleash the power of your people. This HR expo brings together the finest HR folks right from startups to large enterprises for two full days of learning and networking. It has a well-rounded agenda with sessions on topics like predictive analytics, talent sourcing, automation, people analytics, culture boarding strategies, workforce motivation and more. Fun fact: We’ll be there too! The BenefitsConf argues that “A one-size-fits-all health, wellness, and benefits package doesn’t exist.” Honestly, we can’t agree more. If you’re looking to refresh your company’s benefits programs, there’s no better place to be than this conference. With dozens of sessions on the different types of benefits, BenefitsConf will show you how to design personalized, competitive, and unique benefits programs that will appeal to your employees. This HR conference for director-level audiences aims to help you improve your employee engagement rate. Here, you’ll learn how to create organizational values that connect with your workforce, design meaningful reward packages that matter to your employees, and train you on the right ways to give recognition and support to your employees. You’ll also learn about the different tools and solutions to help with these. With presentations, peer learning sessions, panels, and workshops, this content-packed conference will make you a sharper hiring professional. Greenhouse OPEN’s agenda is super-impressive with content on hiring challenges likes nurturing talent pools, designing winning referral strategies, developing an employer brand, improving your onboarding, sharpening your interviewing skills, optimizing your candidate experience and much much more. With keynotes from speakers like the former US President Barack Obama and 300+ concurrent educational sessions, ATD 2018 aims to “bring the talent development industry to life.” ATD is where you need to be to learn about the strategies and solutions you’ll need to design, deliver, implement, and measure learning programs to prepare your workforce for all they need to know in today’s fast-paced working environments. The HR TechXpo will help you solve your “sophisticated hiring problems” with “sophisticated solutions.” With a low-pressure setting and several high-quality solutions (from early-stage startups to enterprise-sized providers) on exhibition, this conference is just the right one for you if you’re struggling to find the right tech for your HR problems. With sessions from folks over at Atlassian, Pinterest, Buffer and others, this Culture Summit conference will help you “build the culture you want to work in.” If you’re looking to build (or rebuild) your company culture, this conference is a must-attend. With workshops on topics like culture mapping, designing a conscious intentional culture and keynotes addressing relevant issues like building a culture in remote teams and more, this conference has got you covered. With speakers from Dell, Shell, Pepsico and others, the 2018 Strategic Talent Acquisition conference will help you hone your talent acquisition processes and skills for attracting, sourcing, assessing, selecting, and onboarding the right people. Designed for director-level audiences, this talent acquisition conference aims to give you the competitive edge by “disrupting” your end-to-end talent acquisition strategy. Hosting more than 80% of the Fortune 500 companies, WorldatWork is your place to be to learn the right way to reward your employees. With talks on total rewards, compensation, executive compensation, sales compensation, benefits and work-life, WorldatWork is suitable for people of all experience levels – right from emerging executives to mid-level managers. With hundreds of HR tech solutions, insightful keynotes, 70+ sessions and more, the HR Technology Conference could make you feel like ”a kid in a candy store.” If you’re looking to choose between the different competing solutions, this conference is where you need to be because here you can talk to the vendors, watch the demos, and do all the vetting you need for all your hiring solution needs. Fee: Depends on the program you choose. With speakers from Google, Nestle, Netflix and others, the HR Summit & Expo Asia is Asia’s biggest workforce management event. This event will sharpen your skills no matter where you’re in your career. Its content is personalized for HR professionals in the different experience groups. For example, there’s the HR Millennials day that’s all for the young HR executives looking to transform their organizations and the C-suite Symposium designed exclusively for the HR people in the leadership roles. With speakers from Unilever, RecruitingDaily, and HCL among others, the SHRM HR Tech Conference 2018 is all about creating a “thriving tech-led HR to keep organizations future ready.” With dozens of sessions on diverse HR challenges and opportunities for discovering the most cutting-edge hiring solutions, the SHRM HR Tech Conference promises the right blend of education and tech support. With keynotes on topics like recruiting better and faster, workforce planning and analytics and others, the HR TECH SUMMIT is Canada’s leading HR event. Along with bringing you an impressive lineup of speakers from Indeed, Facebook, Coinsquare and HR influencers, this event also hosts a contemporary trade expo, live workshops, interviews with the industry leaders and much more. The Future of HR Summit is about how HR professionals can catch up with the fast-going-obsolete traditional business models. With a rich agenda with sessions on designing winning wellness programs, embracing A.I and machine learning in recruiting, maximizing employer brand equity and more, this conference will prepare you for the future as the dynamics of talent acquisition, retention, and engagement change. The biggest HR event in South Africa, the HR INNOVATION & TECH FEST, is a celebration of the “talent, technology and ideas” that transform the future of work. While this year’s program details are yet to go live, the last year’s agenda was rich with content with sessions on employee engagement, reporting and analytics, catching up with the changing business ecosystems and more. Fee: Yet to be disclosed. With over 80 sessions and 100+ exhibitors, the HR SUMMIT AND EXPO 2018 promises a good mix of educational content as well as support for discovering and choosing the right HR tech solutions. This event also hosts a library of resources with exclusive insights from the last year’s conference. HR SUMMIT AND EXPO 2018 is also a great place to discover the changes in the Middle East’s talent management landscape. Can’t commit to any of these HR conferences this year? Just check out the local HR meetups happening right in your city and drop in a few of them. Meetups are excellent hangouts to make friends in your hiring field and to learn and give back. And unlike the HR events on this list, attending meetups won’t need approvals from your bosses or any long-term planning. Most will be just a little ride away! P.S Oh and if you happen to be attending the Unleash, Amsterdam, do catch us as we’ll be there too!